Does Storyline 360 have the feature to apply a new layout to the whole specific scene? I had no this experience before. I am going to applying a new layout to one specific scene (tons slides). 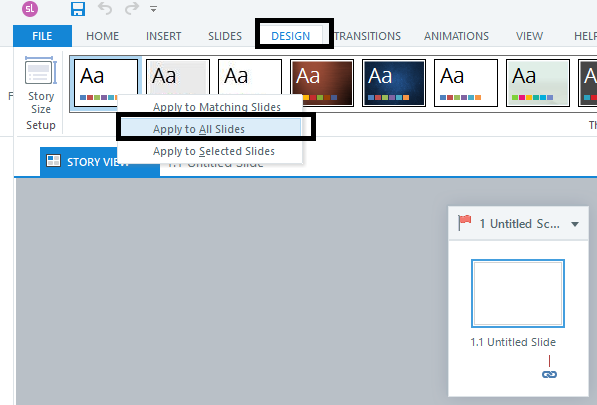 To save time, does storyline 360 have the feature to apply the new layout to a hundred slides at one time other than manually change the layout slide by slide? Or is there any faster way to do so? The other scenes still keep the existing layout. I have tried this way (only highlighted the specific scene) but what happened was not only the specific scene changed to the new layout, but all the other scenes did as well. My goal is just to change one scene (with a hundred slides), but the other scenes keep all their own layouts. If your way can only change one scene only, did I do sth wrong? Strange.